The project consists of five work packages ranging from project management to communication, an analysis phase, a pilot phase and a final phase to develop policy recommendations. The main objective is to support companies in their development and growth process. This will be achieved by supporting the implementation of innovation through financing, by improving the institutional framework and policy instruments through the development of services and by influencing the strategic framework in the partner regions. For FH JOANNEUM, this means that an incubator has been set up at FH JOANNEUM in Kapfenberg as part of the ACCELERATOR project. This incubator is called (KAIT) Kapfenberg Accelerator IT. Since the Accelerator is a project of Applied Computer Science, ideas in the field of IT are the main focus. It is usually a virtual business incubator where founders and growing SMEs receive support on a variety of different topics. The support takes the form of advice, consulting, support and coaching as well as training. With KAIT it will be possible to support founders in the IT sector inside and outside the FH JOANNEUM with a developed course for IT entrepreneurs. In this context it is worth mentioning that in a highly volatile market like IT founders a continuous improvement is necessary. During the first pilot project, mostly individual support was offered on various issues that emerged throughout the start-up process. Topics covered included writing business plans, preparing discussions with investors and financial institutions on more specific issues such as labour law or data protection issues. The first pilot project ended with a business plan competition in which the top 10 ideas presented their business plans to an audience of stakeholders. The best three business plans were awarded with a prize by the municipality of Kapfenberg. In the support concept of the first pilot of FH JOANNEUM, something new had to be introduced in order to be unique in a highly competitive market. Hence, the second pilot introduced new courses at FH JOANNEUM in Kapfenberg that were specifically designed to meet the needs of founders in general and in the IT sector. The closing event of the second pilot project of the ACCELERATOR project was a networking event where students and other potential founders had the opportunity not only to meet other (funded) projects dealing with entrepreneurship issues, but also to get in touch with other stakeholders. FH JOANNEUM tested both programmes in the project. According to the feedback of the participants, the business plan competition is a very good marketing instrument to make the accelerator accessible to a broader public. However, consulting is certainly also the most effective instrument for founders and is also available after the end of the project. The main challenge in the ACCELERATOR project is that it is not directly involved in the start-up consultation as a day-to-day business. On the whole, however, the ACCELERATOR project was a great success story. The oral and written feedback from the founders and start-ups have shown that there has been a lack of an accelerator especially for IT founders in the region. FH JOANNEUM closes this gap with the introduction of the Kapfenberg ACCELERATOR for IT companies. The ACCELERATOR project is a highly interesting project that will have long-term and sustainable effects. Due to the project, the FH JOANNEUM had the opportunity to gain experience in two pilot projects in order to test different offers for IT start-ups. In fact, these offers could be adapted to the needs of the target group. What is more, and the FH JOANNEUM had the possibility to design an accelerator (KAIT) which is accepted on the market. After the completion of these two pilot programmes, it was concluded that there was still room for improvement. A new idea emerged which was actually put forward by one of the students who wanted to start a business. Since the smartphone is the single point of contact for many, especially for young people, the project team should try to develop an app for founders. FH JOANNEUM is currently in the process of designing what such an app could look like. 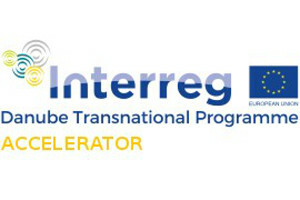 Visit the website of the Accelerator project to be always up to date.